the products have been sold well all over the world . if the sample is available is the best. 4. What can we compare with other companies9 1. Our service person will 24 hours on line. *_* If you are not like this patch, don' worry about it, we can custom it for you. And we will quote you best factory price with high quality patch products. weaving high definition weaving folding without folding,loop fold,end fold,mid-fold,straight cut,die cut,miter fold. 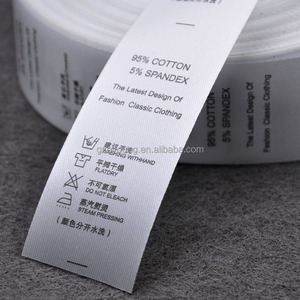 basic information item name custom washing label size/woven label clothes sewing/garment woven label style material cotton, polyester, nylon, ribbon, stain, damask and so on. Our woven label products: 1. 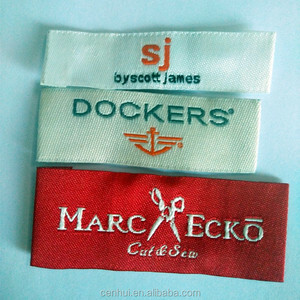 We supply and perfer to producing woven label according to custome-design or samples. 8. We offer garments labels for clothes, bags, shoes and others with quality guarantee and unlimited order qty. Our quality policies are: excellent quality, outstanding product and heartfelt services. all the information on the website is just for your refernce, especially the price. basis finishing cold cut, die cut, heat cut, laser cut, ultrasonic cut or as your request. it located in qingdao, a beautiful seaside city, is located in the southeast part of shandong province. How do I place an order9 Please provide us the AI/PDF or Coredrew artwork with image,size and quantity to get our quotation. Q2). Can I get the free samples9 Free sample are available for quality check, but the shipping fee and tax will be responsible for the customer. Q5). How long is the lead time9 Product lead time is about 7-10 day upon the quantity. Q6). 2.Custom design: If you have your own design,we will make approved samples based on your artwork or original sample. 4. What color can i use9 Pantone colors as well as the common 4 color (CMYK) process ,any color is available. 5. When can I get the quotation9 We usually quote you within 24 hours after we get your inquiry. trademarks are small role, can match the compositon of the final products, washing , use method and matter needing attentions in small printing label. productions approval, head of good prenatal sample can produce big goods. 2017 Fashional Design Digital Woven Label For Garment Woven label is the most economical way of identifying your garments or products. 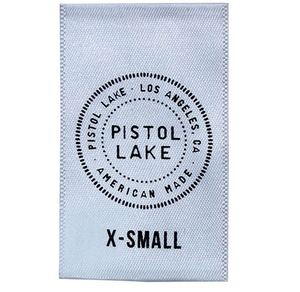 All woven labels come to be cut, finished, folded (if applicable) and ready to sew or iron on. specialized in supplying Hang Tag , Woven Label , printed label, Stickers and so on. This is an end-folded label. Folded down on the left and right side. They are applied the same way as straight cut labels, but have a softer edge. 4. Customer make the payment for deposit and send us Bank receipt. Contact our sales team to see how we can help you save a lot of money. Please be aware that our production lead times depend on specific items and item quantities. price according to the required material, size and the fold type.more quantity,more favorable. sample charge free completely, we can provide free samples before you place the order. Most of them are sew on clothes, such as jeans, pants. 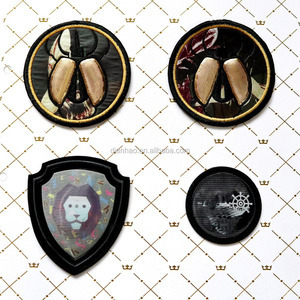 For patches materials, there are Twill patches, Felt patches, Leather patches. 3. Let the patch computer files change to solid patches. 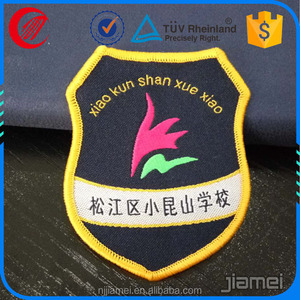 direct factory customized high quality clothing woven labels product description &gt;&gt;&gt;click here to get free sample from us ! 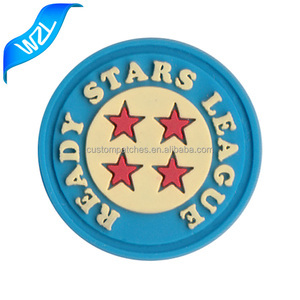 sew on pvc patch, it's very tight to use in clothing, bags, hats or others. B. 4. What can we compare with other companies9 1. Our service person will 24 hours on line. *_* If you are not like this patch, don' worry about it, we can custom it for you. All the information on the website is just for your refernce, especially the price. Samples You offer your , we make counter sample. Free samples can be provided, but shipping and taxes paid by the buyer. 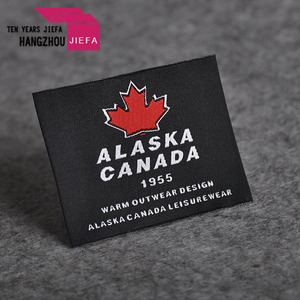 newest custom thermal transfer label advantages as a professional garment accessories manufacturer and exporter, we can produce every kind of accessories for clothing. you can certainly trust our quality control to meet your highest level of requirements. Alibaba.com offers 1,099 2017 custom fabric label products. About 5% of these are garment labels, 1% are packaging labels, and 1% are labeling machines. A wide variety of 2017 custom fabric label options are available to you, such as washable, eco-friendly. You can also choose from fabric, cloth, and paper. As well as from printed, embroidered, and embossed. And whether 2017 custom fabric label is bags, or garment. There are 1,020 2017 custom fabric label suppliers, mainly located in Asia. The top supplying countries are China (Mainland), Pakistan, and Vietnam, which supply 92%, 5%, and 1% of 2017 custom fabric label respectively. 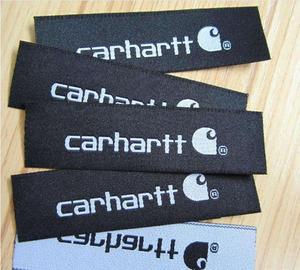 017 custom fabric label products are most popular in North America, Western Europe, and South America. You can ensure product safety by selecting from certified suppliers, including 149 with Other, 61 with ISO9001, and 8 with ISO14001 certification.